How does 'Plan My Week' work? Not sure what you should be working on? The Plan My Week button, found at the bottom of the To Do screen sidebar, looks at your Scheduled Items and plans your week, accounting for deadlines and time available. 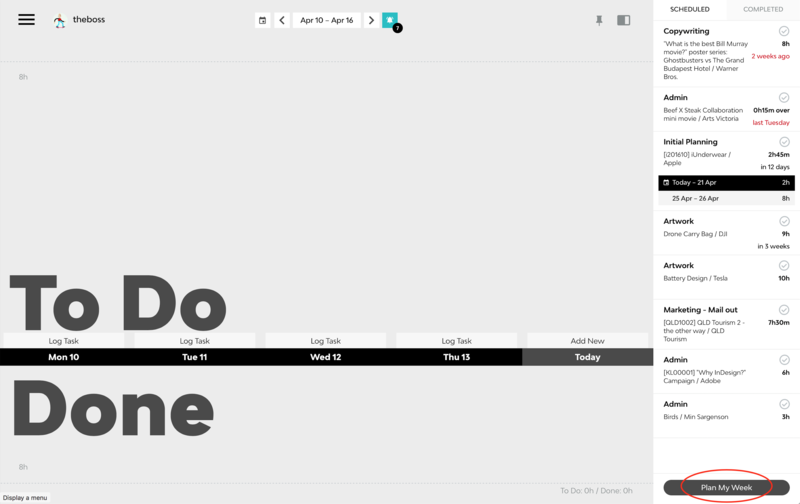 If your Scheduled sidebar is empty, then you are free to populate your To Do list however you see fit. Items that you have been assigned to will show up in the Scheduled sidebar once they are in Play. Click here for more info on Item Stages.